Brix & The Extricated released their debut album ‘Part 2’ last September to critical acclaim. Over the past year they have relentlessly toured the UK and performed at numerous festivals over the summer. Last month they returned to the studio to record their follow up with a plethora of new material ready to go. 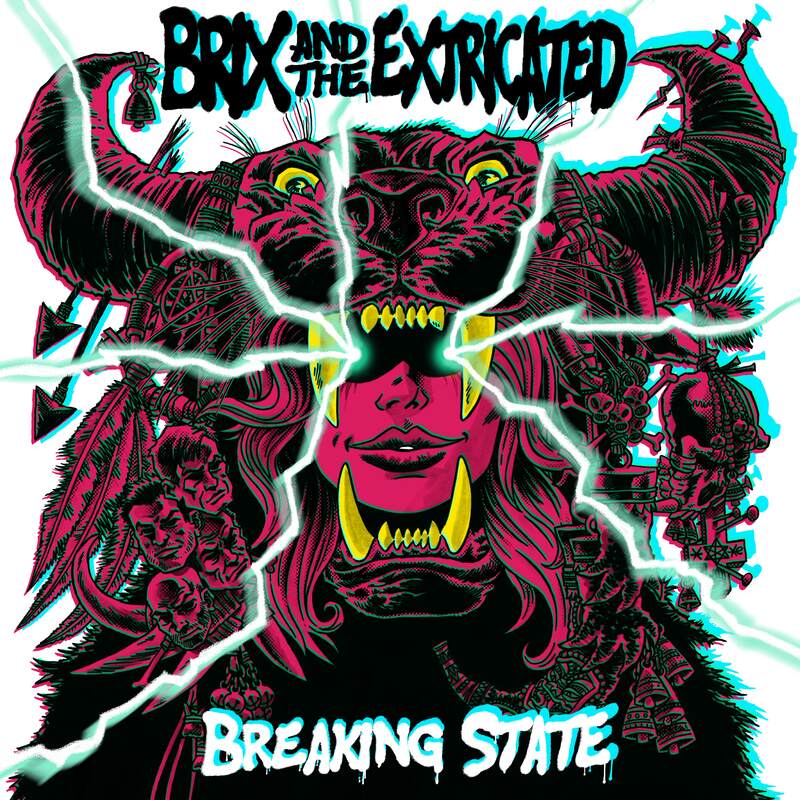 The resulting album is ‘Breaking State’, upon which Brix & The Extricated have pushed the sonic boundaries set by their debut. While retaining much of what was loved about their first album, this record demonstrates musical muscle and rapid growth of artistic intent. PRE ORDER BREAKING STATE NOW! While the sonic thread of their time in The Fall is still clearly evident, there are many surprises and unexpected corners throughout the album. This album is packed with seriously infectious choruses and killer guitar work. Each of the ten songs is rifled with the gut wrenching power chords, driving riffs and technical dexterity of Jason Brown’s guitar contrasted against the delicate beauty of Steve Trafford’s moody, atmospheric, transportative soundscapes. Both musicians take you on two separate but intertwined sonic journeys as the two guitars debate conversationally from one song to the next. They play off each other and bait each other, returning to that place where they blend in orgasmic bliss – this is post punk guitar work at it’s best. Smith Start comes into her own as a vocalist here delivering every word with intent while emotionally engaging the listener throughout. Building on her inspirational work in ‘Part 2’, she reasserts herself as a leading light to women across the generations, swimming against the tide and defying expectations. She brings a message of hope, not just to women but to people everywhere to strive for what is possible. Smith Start again resets the bar of expectation stepping out of preconceived, conditioned perceptions of previously well trodden paths. Vocally we hear a voice that ranges from vulnerable delicacy to the battle cry of a warrior. The unexpected addition of strings (arranged by Sarah Brandwood-Spencer) add a surprise multi dimensional emotional texture throughout, that seamlessly support Smith Start’s message. At times the strings hark back to the golden age of Hollywood glamour resulting in a wonderful collision where MGM meets post punk rainy Manchester.